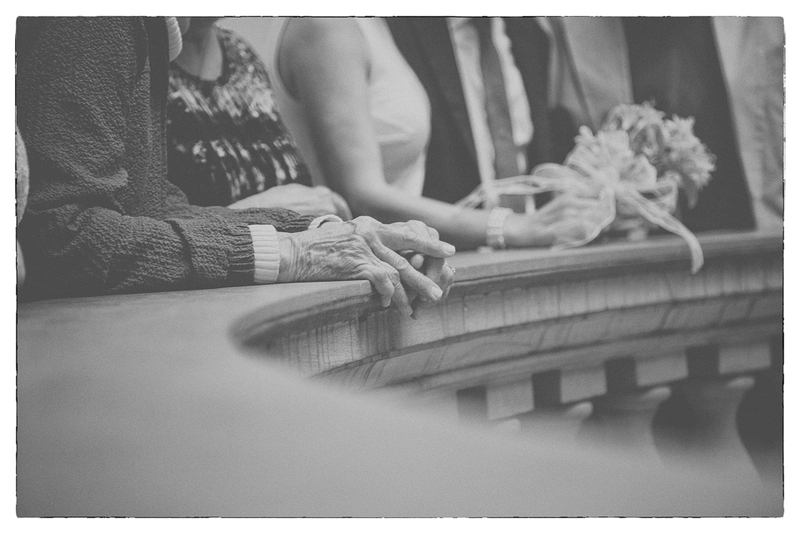 I recently photographed a wonderful marriage in City Hall. 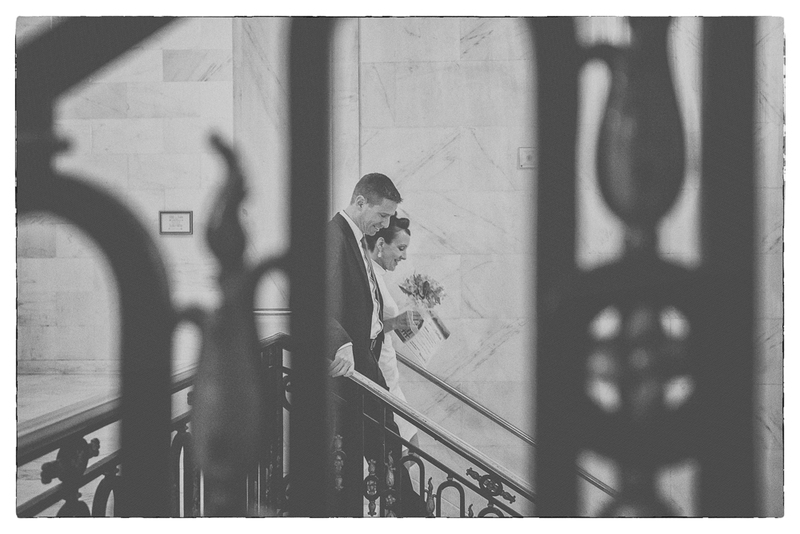 Kim and Tim (the Im’s) looked stunning especially with the grand architecture and history surrounding them. They are fantastically warm and kind people who have been in love for some time and finally tied the knot. 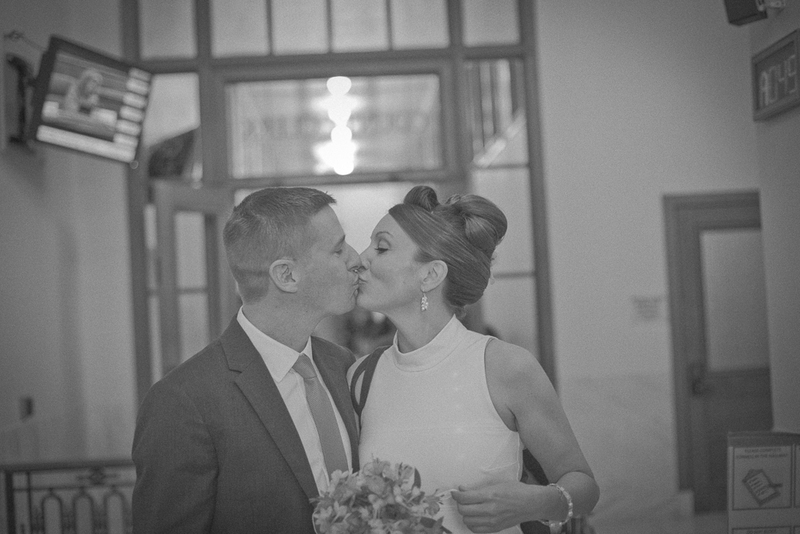 For me, it was great to be a part of their wedding and to witness what happens in City Hall. After delivering their finished photos, I spent some time finalizing a few pics in a low-contrast, high ISO feel with grain and old times. This isn’t typically what I offer clients (unless they ask specifically), but I thought the BW finish and the feel of the event worked nicely. 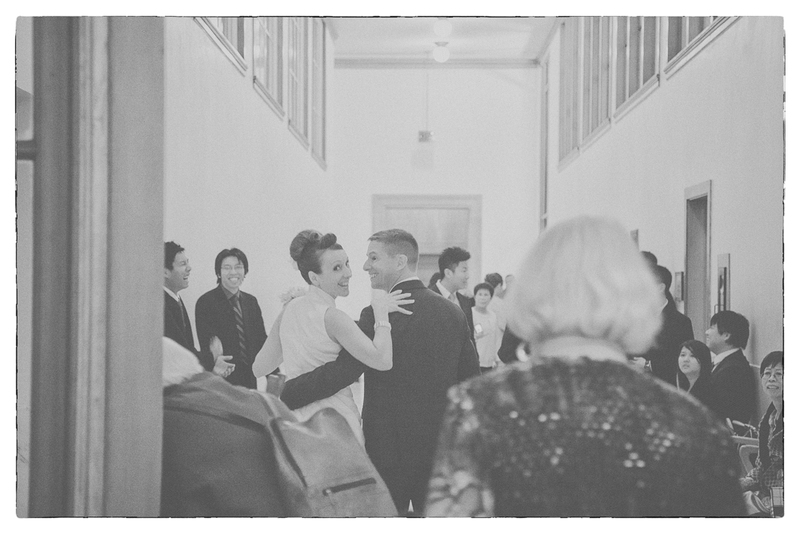 City Hall volunteers conduct about 30 weddings a day, so punctuality is key. To some it may feel rushed, this is not the place to savor a 5 minute kiss (or maybe it is!). It feels so human to be there – a part of a bigger society with many converging stories, dreams, hopes along with schedules and traffic and expectations. 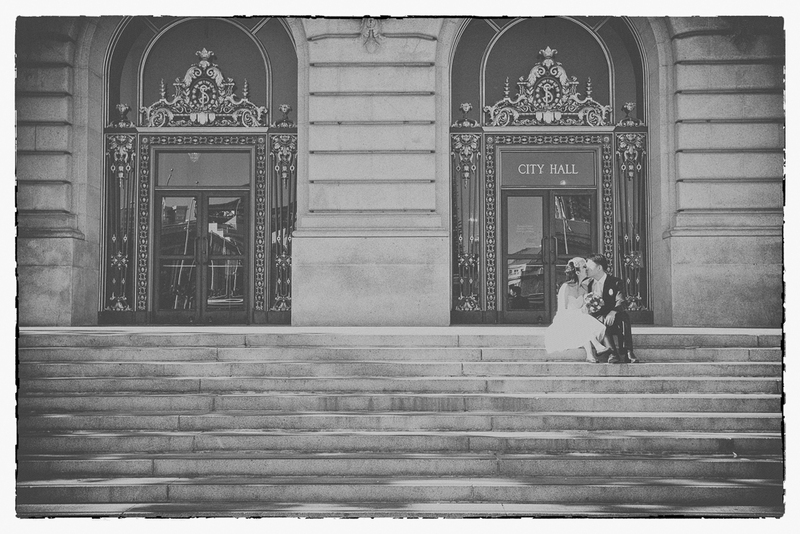 City Hall is truly an amazing cross-section of the Bay Area where many people come to celebrate their union. 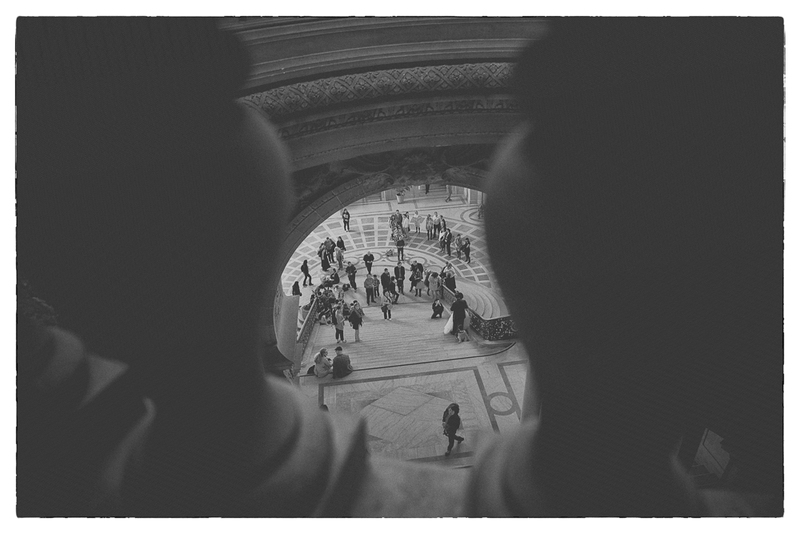 Here’s a sneak peek of some low contrast black and white imagery that celebrates their 10 minutes of fame. Enjoy – click on any image to enlarge. 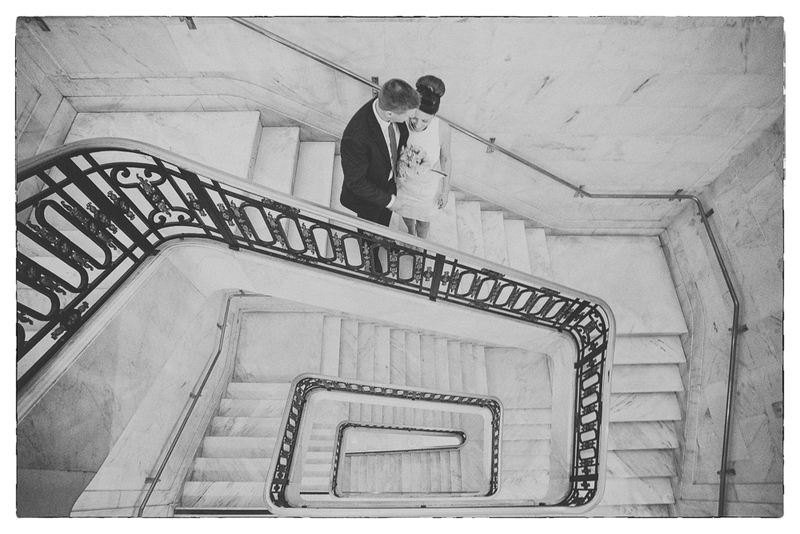 … and one parting shot of another couple I saw on the steps as I was waiting for Tim and Kim! Thank you for the very sweet words Emily. I appreciate every word. A happy new year to you!